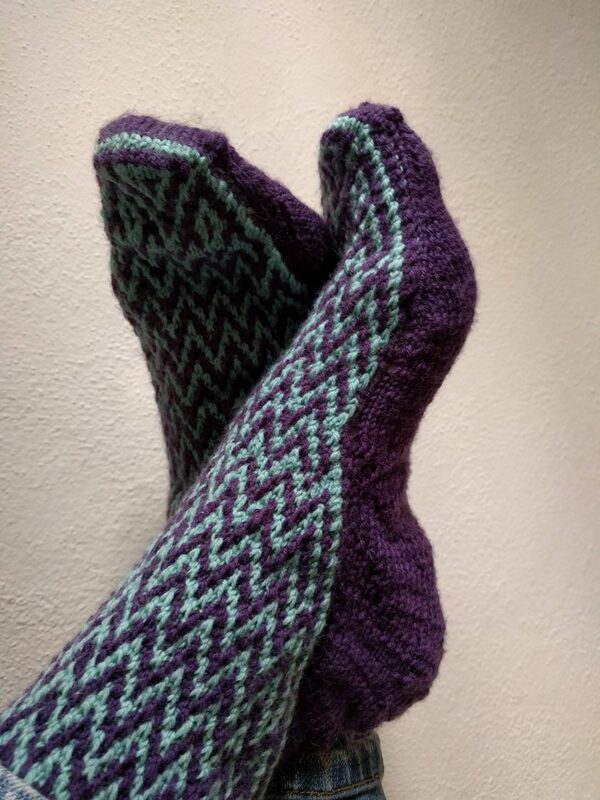 I have been trying to branch out of my sock knitting comfort zone, and I thought this pattern, Wanderer, would show off my contrasting colors nicely. I was also drawn to it because of the mosaic knitting, which is a new technique for me. These socks did not go smoothly, but I did get a pair of wearable socks in the end. One big issue with this pattern is that the chart is borderline unreadable. First off, it is blurry. Here is the link to the chart on Knitty. The blurriness is not due to printing; it is blurry even on the computer screen. And because it uses symbols, not just black and white squares, you basically have to guess what some of the squares are. Secondly, even if it were not blurry, the chart would still be unreadable because it is so tiny. I tried to follow it for a bit and was getting a headache from squinting. 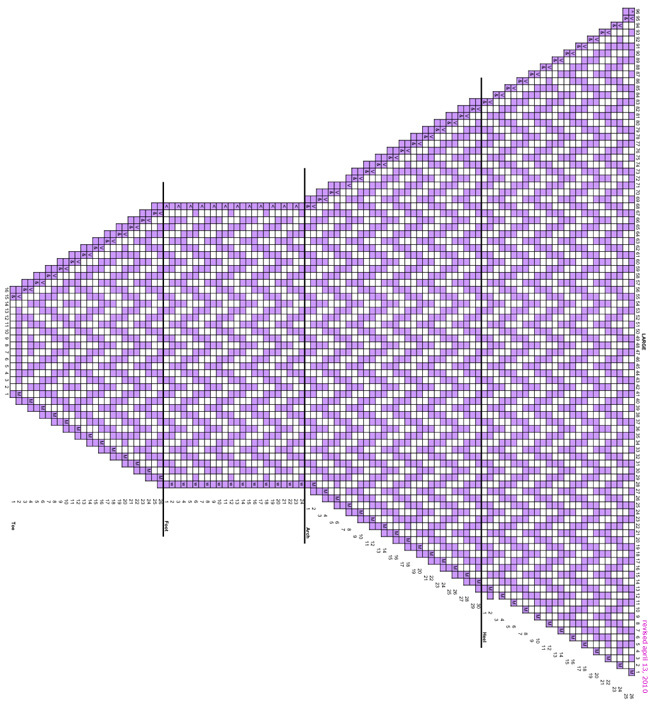 Luckily, my husband had already written a program for me that converts an image of a knitting chart into a spreadsheet. (I used it previously to change the chart of these socks.) Once it was in the spreadsheet, I was able to re-print sections of the pattern at a decent size. Even once I had the chart sorted, I still had issues with this pattern. 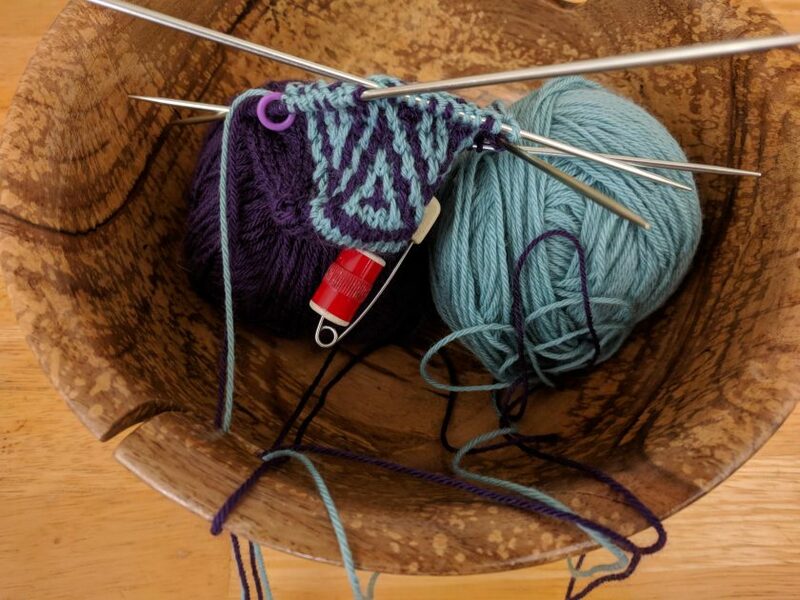 I knitted a swatch, and for once, my gauge was spot on the first try. However, my foot measurements put me in the largest size of sock. I thought this was strange because my foot is not large: my shoe size is 8, and my foot is not wide. Nevertheless, I followed the pattern’s recommendation. That turned out to be a mistake. 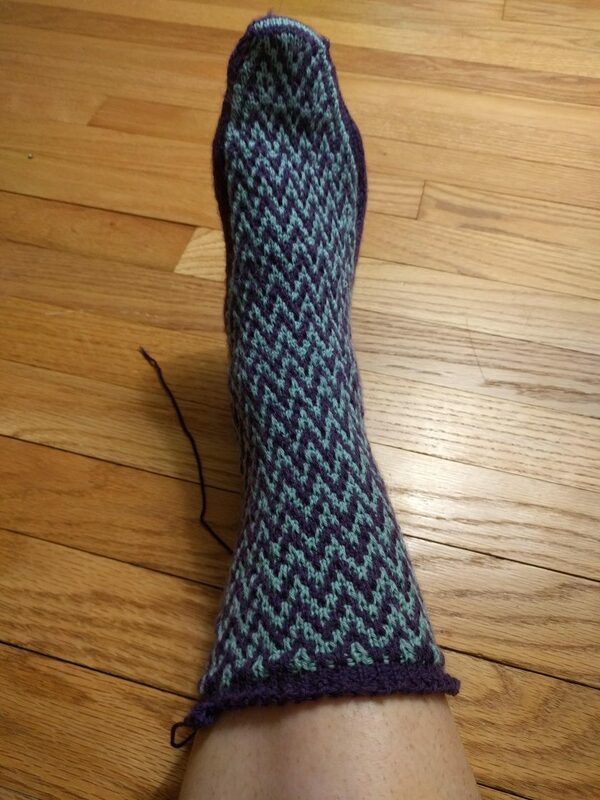 Even before I reached the heel, it seemed like the sock was coming out way too large, even after I adjusted for length. 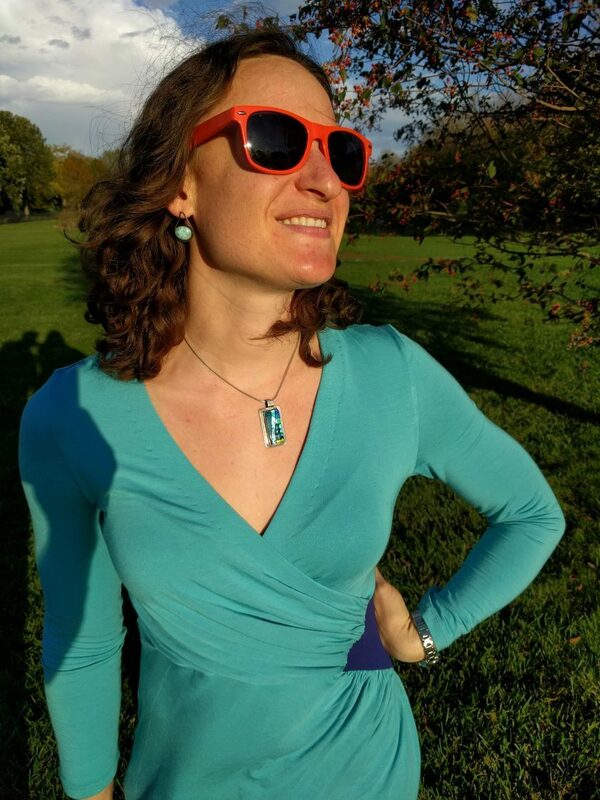 I kept going partly because I wanted to do it as written so I could figure out what to change. Once I reached the leg, I ripped back to the middle of the foot and re-knitted, with many changes. 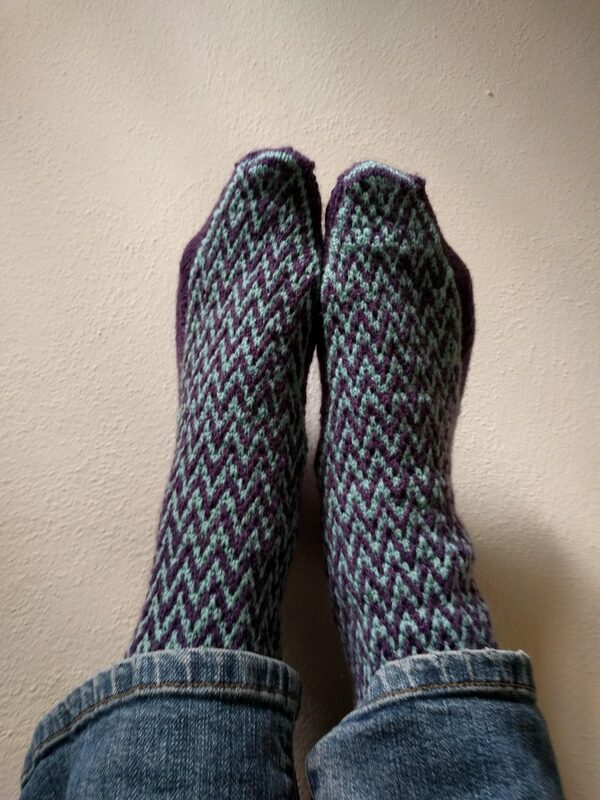 I managed to get it wearable in the end, but it is definitely one of my least well fitting socks. I also felt like the directions were not well written. 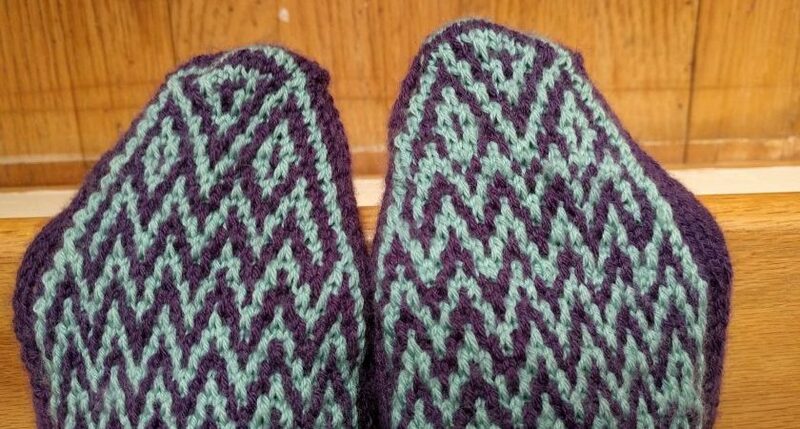 I struggled to make sense of them, even though I have followed many patterns and am not an inexperienced knitter. I never managed to figure out how I was supposed to do the ribbing at the cuff, so I just made my best guess. 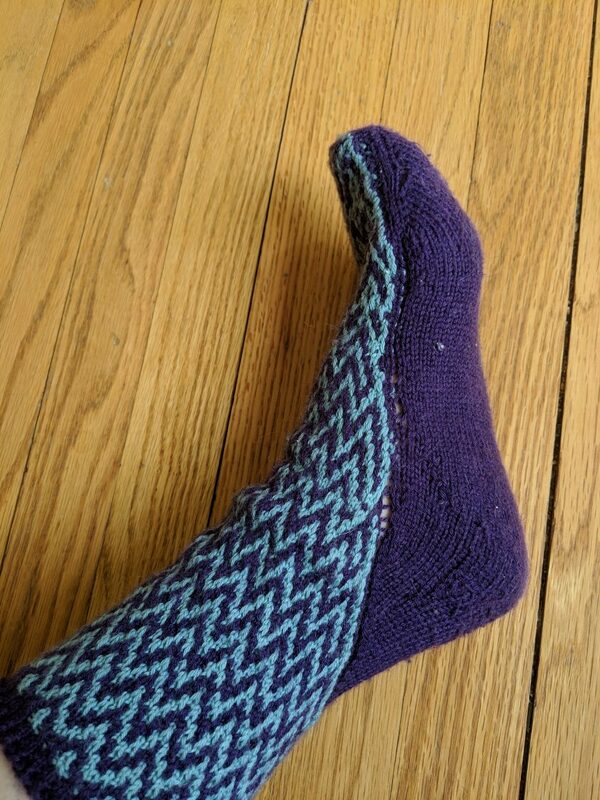 My recommendation is that if you like this mosaic pattern, just use the design on your favorite basic sock. 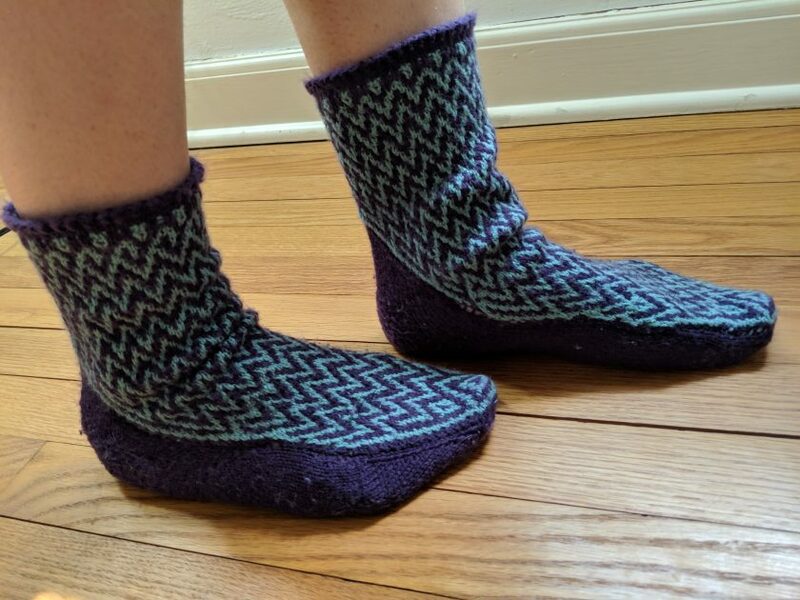 If you want to check out some more mosaic socks, here is a blog all about them.